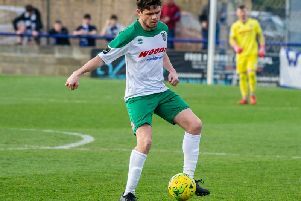 Rocks boss Jack Pearce felt his players could blame only themselves for surrendering a 1-0 lead to lose 2-1 at home to Enfield. The manager was unhappy with how the team performed after the break as the north London side came from behind to win - albeit with the help of a winner scored after an obvious handball. Hear his post-match view above.